Keeping within a wedding budget can be difficult. If available funds are limited you will have to carefully balance the cost and quality of the additional services you book for your special day. One thing that you will definitely want to ensure you have is a good photographic memory of the occasion. Therefore making sure you feel confident in your wedding photographer’s ability is of utmost importance. When finding the right photographer for your wedding you will have many considerations. Availability, cost and experience will generally be the most important factors, when making your choice. Your budget may allow you to secure the services of a highly experienced professional photographer, who may have a studio filled with wedding photographs. A tighter budget however, may mean that you will have to shop around, and consider hiring a photographer who has less experience. Asking for recommendations, from friends and family, is a good idea, as too is requesting a reference from one of the couples who previously hired the photographer. Any confident and experienced photographer will be more than happy to show you the images in their portfolio, and will aim to put your mind at ease. 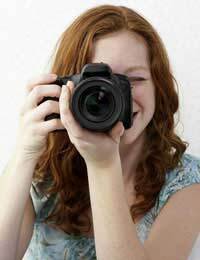 A student, or amateur, photographer will be keen to make the right impression on initial contact. You could find their services listed on the notice board of the local Adult Education centre or through a local photographers club. You may even know a keen photographer through a friend. Always ensure you ask to see a variety of the student’s work, as this will give you some idea of how lighting and direction is used. You will also need to discuss the style of photographs you would like, along with the venue and location and whether or not you would like photographs of the wedding reception. Although most students will agree to photograph your occasion at no expense, budgeting for a token payment, if you are very satisfied with the images, is worth doing. The images will also usually be offered on a CD, so you will also have to cover the cost of printing. Asking friends and family to take additional photographs throughout the course of your special day is an idea worth considering. Buying easy-to-use disposable cameras – you can usually get a discount for a bulk purchase – will enable guests to take action and random shots that an official photographer will not have access to. This will provide you with lots of additional memories of your wedding day. The average cost of a wedding in the UK is £16,000. Although you may not have that size of budget you will nonetheless still expect to have photographs of your wedding day that you can gaze at for many years to come. Wedding Insurance will help ensure your photographs provide a visual memory of your special day, and will cover the cost of getting your wedding party together again for a re-shoot, should the photographer accidentally drop the camera or ruin the pictures. Although taking out this insurance policy will be an additional wedding expense, it will provide you with peace of mind.